Forty-one percent of renters are thinking of purchasing a home over the next year, compared with 11 percent of owners who plan to sell. California home prices grew by 8.9 percent year over year in May, while prices in the San Francisco metropolitan area were up by 11.4 percent. California real estate prices are expected to appreciate by 9.3 percent by May 2019, the second-largest gain in the U.S. The nation’s inventory crunch continues to drive up home prices, with California projected to post among the highest appreciation by the spring of next year. CoreLogic’s latest Home Price Insights report says that U.S. home prices rose by 7.1 percent year over year in May. In a statement accompanying the report, company Chief Economist Frank Nothaft attributed the appreciation to America’s well-documented supply-and-demand imbalance, noting that inventory is particularly thin for entry-level homes. Inventory seems unlikely to improve in the coming months; while 41 percent of renters are considering buying a home over the next year, only 11 percent of owners are planning to list their homes. 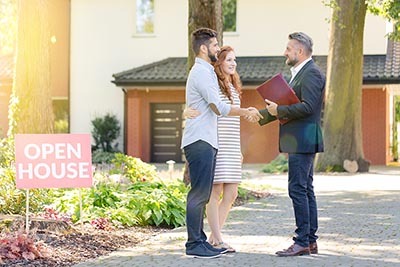 CoreLogic notes that the desire to own a home is much stronger among renters who live in areas with high home prices — including the Bay Area. California home price growth outstripped the national rate, up by 8.9 percent from May 2017. CoreLogic projects that Golden State home prices will increase by another 9.3 percent by May 2019, the second most in the U.S. behind Nevada. A similar trend emerges when examining year-over-year home price growth for the 10 large U.S. metropolitan areas included in the Home Price Insights report. San Francisco posted 11.4 price growth on an annual basis in May, second to Las Vegas, where prices increased by 12.4 percent. Even with the strong year-over-year price growth, San Francisco’s housing market is still valued in the normal range, along with the San Rafael, Napa, and Vallejo metro areas. CoreLogic considers housing markets in Oakland, Santa Rosa, and San Jose to be currently overvalued.